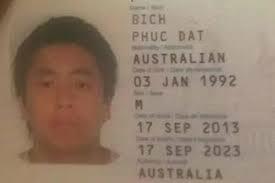 “Phuc Dat Bich” is not a 12-year-old’s poorly spelled insult. He’s a 23-year-old Vietnamese-Australian who asserts he had his Facebook profile shut down multiple times over accusations he was using a fake name. To prove his namesake to the world, he shared an image of his passport online. Originally posted in January, the photo surged in popularity online this week, with more than 128,000 likes and 68,000 shares on Facebook as of Friday. “I find it highly irritating the fact that nobody seems to believe me when I say that my full legal name is how you see it. I’ve been accused of using a false and misleading name of which I find very offensive. Is it because I’m Asian? Is it?” Bich posted. “Having my fb shut down multiple times and forced to change my name to my ‘real’ name, so just to put it out there. My name. Yours sincerely, Phuc Dat Bich,” he shared. Bich did not immediately respond to a request for comment from The Huffington Post. However, a friend of his confirmed to The Herald Sun that Phuc Dat Bich is indeed the man’s real name. Ironically, if he were to change his name on Facebook to avoid getting banned, he would be violating the site’s real-name policy. The controversial rule requires Facebook users to go by their “authentic name” on the site, rather than a pseudonym. After backlash against the policy, in October the social media giant started allowing users flagged for false names to defend their reasons for using the name they do, according to Engadget. Facebook also now requires users who report fake names to provide additional details about why they are flagging the account.